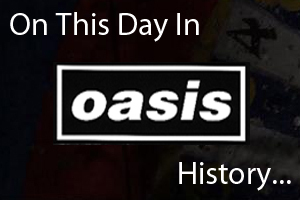 On October 7th 1997 Oasis played the first of two nights at the Hammerstein Ballroom in New York, USA. Listen to a bootleg from the gig below. On October 7th 2001 Oasis played the first of two nights at the Shepherds Bush Empire in London. On October 7th 2008 Oasis played at the Echo Arena in Liverpool, England. Ricky Hatton introduced them on stage "They're the best band in the world, and I'm proud to say, friends. If anyone tries to push them over onstage tonight they're gonna have me to deal with!"